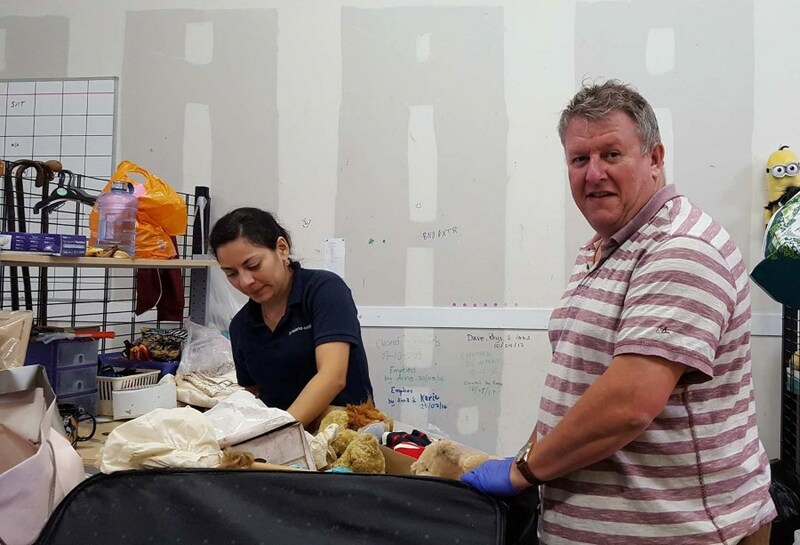 A team of eight willing helpers from Codair turned up at the St Helena Hospice donation centre in Stanway, Colchester on the 11th July. Their mission was to sort and categorise all the bags full of items donated to the charity. First, they were given a short guided tour by Anna, a member of the Hospice staff, where they learned how the Hospice stores the many different types of stock, from furniture to footwear. They were also shown how they screen these items for new, vintage and even antique pieces, some of which may be worth sending to auction or putting up for sale on eBay to achieve the best returns. Then it was down to work. Time to don the purple latex gloves and start sorting the donations. They split into two teams of four. Sue Raison, Emma Smith, Paul Noyce and Philip May began carefully checking the toys, games and bric-a-brac. 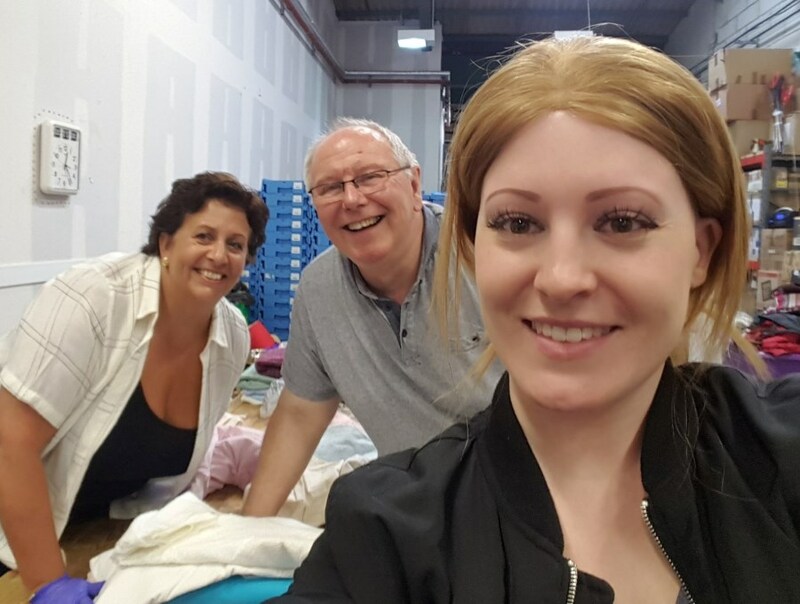 Joanne Derrick, Helen Worby, Alan Halsey and Alan Wheeler took on the task of attacking the small mountain of black plastic sacks containing clothes and footwear. Those in each team were constantly being surprised by the wide variety of items each subsequent bag yielded up. There were new items, some still in their original packaging or with sales labels still attached; some well kept vintage items that were carefully put to one side as well as clothes and shoes for all seasons to fit men, women and children of all ages. Unfortunately, there were a few bags that yielded items which could only be handled by purple latex gloves. 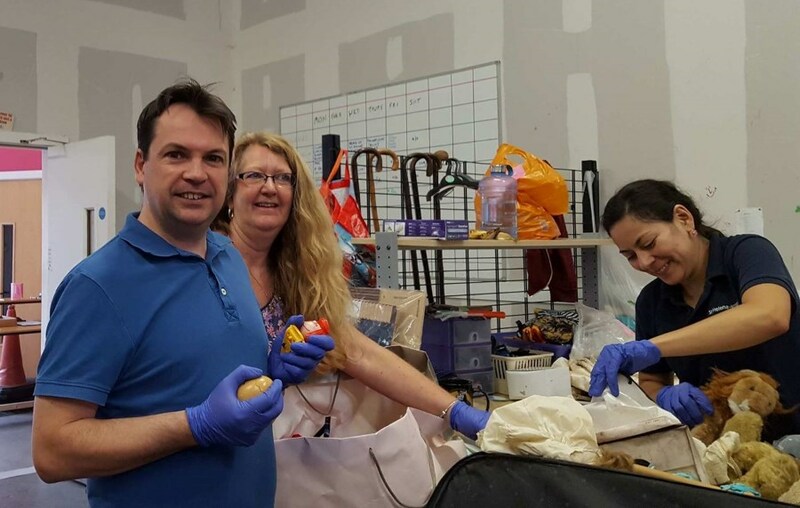 Anything clean and of some worth was loaded into wheeled containers to be further sorted and categorised before distribution to the Hospice shops. The remainder was put into bags for recycling. 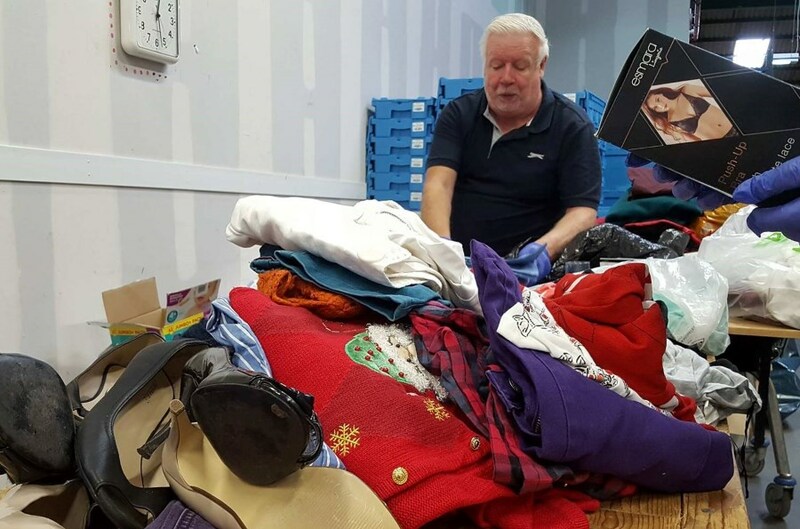 Hard work paid off for everyone involved, especially those sorting the clothes and footwear. As the day went on the mountain of sacks dwindled first to a small hill, then just a mound and then finally, there were no more to sort. 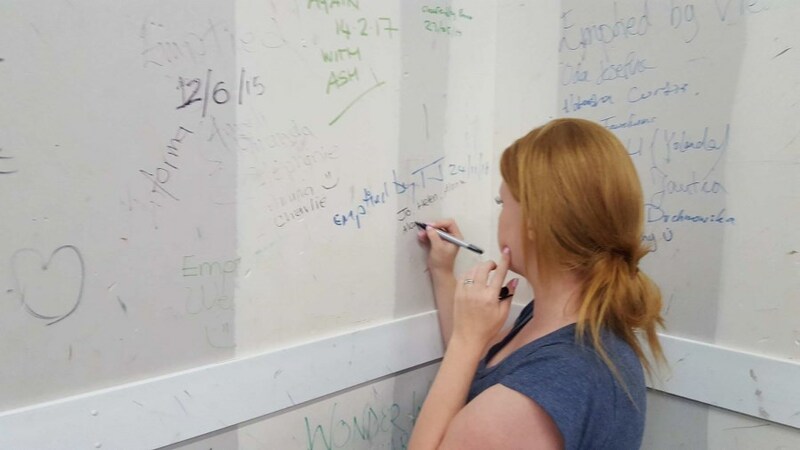 The team were congratulated by Anna and asked to ‘Sign the wall’, indicating they had cleared the pile of donations during the day. 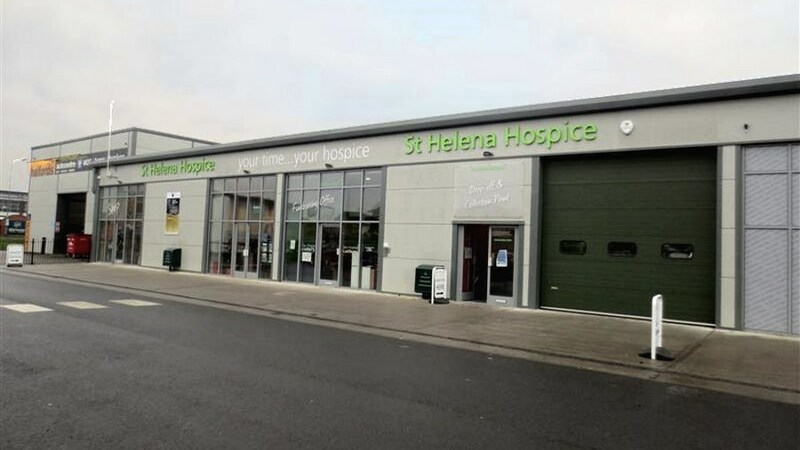 All those involved left a little tired but happy and with a sense of satisfaction that they had been able to help St Helena Hospice, Codair’s preferred charity.